Hiring a good, trustworthy cleaning service can be a stressful task. You're letting strangers into your home to sift through your belongings and put them in order. Take a little extra time when choosing a cleaning service to make sure your home is in good hands and the end result leaves your house sparkling every time. Outline exactly which rooms are off limits and which room the service will focus on. Do you want them to do more than the standard cleaning, like dusting and mopping? This could include things like windows and laundry. Once you know exactly what you're looking for, make a list of requirements to use when interviewing potential services. Some companies offer more options than others. 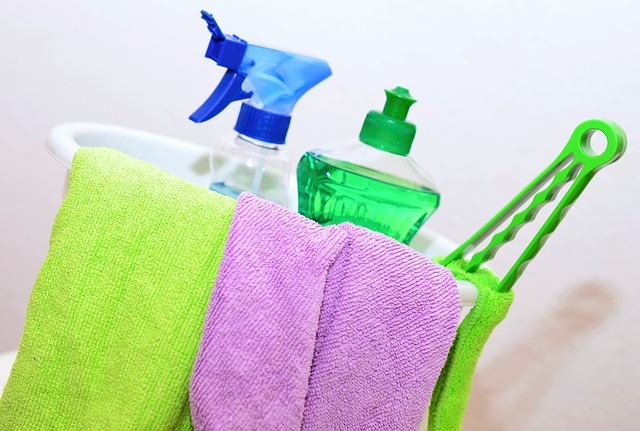 Treat your search for a cleaning service the same way you would a moving company. Compare multiple options before settling on one. If you are hiring a commercial service, make sure to interview the person who will actually be cleaning your house as well as the representative from the service. You should be comfortable with them, especially if they will be working while you're not home. Ask if the same crew will be at your home each time. House cleaners have access to all of your personal space, so be assured that you're not getting scammed. You can do your own background check on individuals or if you're hiring a company, ask if they run background checks on their employees. A good company will only hire the most trustworthy individuals. If someone breaks something while they are cleaning, will they pay for it to be repaired or replaced? If someone gets hurt in your home, who will pay the medical bills? Make sure you have a clear contract defining these liabilities or you could end up paying a lot more than you intended. When shopping around for quotes, the person or service should be able to give you a rough estimate over the phone. If they can't, move on to the next company. It is a waste of time to look into a company if you don't know that it is in your price range. If you're hiring an agency, make sure that there are no hidden fees. When hiring an individual, consult with an accountant to make sure you're hiring him or her as an independent contractor and not an employee as there are different taxes associated with each. Make sure that the service or individual knows exactly what you expect from the cleaning. Set a schedule for when you want certain rooms cleaned and don't be afraid to make your wishes known. They might have some of their own requests such as the bedding being stripped prior to their arrival. Decide who will provide the cleaning supplies. Some companies prefer to use what they bring. If you want them to use your own products, make sure to get it in writing writing and deducted from the total cost of the cleaning. Make sure than any extra or unusual requests are specifically outlined in your contract with the individual or service.